The Champ (1931)—Jackie Cooper is so heartbreaking as the loyal son of downtrodden boxer Wallace Beery that you actually shed a tear for the meanest man in Hollywood. Five Pennies (1959)--As a career-obsessed jazz musician, Danny Kaye has his share of mishaps as a father. When he isn’t out on the road, he’s taking his daughter to nightclub jam sessions in the middle of the night. He redeems himself when tragedy forces him to see his child in a new way. The Lady Eve (1941)—Con artists Barbara Stanwyck and Charles Coburn are a marvelous father and daughter team, because they both understand and delight in each other. Coburn doesn’t fight his true nature to spare his daughter, but he clearly separates his love for her from his vices. Sabrina (1954)—Put in the awkward position of watching his daughter being wooed by the sons of his employer, Audrey Hepburn’s chauffeur father only shows true concern for the wellbeing of his daughter. His unwavering loyalty puts the rich folks to shame. Our Vines Have Tender Grapes (1945)—The strict, but compassionate relationship Edward G. Robinson has with daughter Margaret O’Brien is the most touching part of this gentle rural drama. The Thin Man Goes Home (1944)—The murder to be solved is secondary to the battle William Powell wages to convince his father that he isn’t just a worthless drunk. 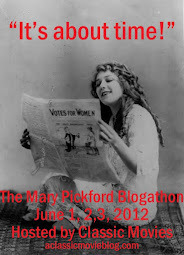 Fortunately he has Myrna Loy, one of the best screen wives ever, to campaign for him. Man of a Thousand Faces (1957)—This Lon Chaney biopic is made all the more touching by James Cagney’s depiction of a devoted single father, a rarity in showbiz movies. Poppy (1936)--W.C. Fields tries to find a place for his daughter in high society in a sort of male Stella Dallas with fewer tears and a lot less nobility. The Best Years of Our Lives (1946)—Papa Fredric March may slow the course of true love with his fatherly meddling, but he teaches his daughter’s suitor an important lesson about the worth of his little girl. 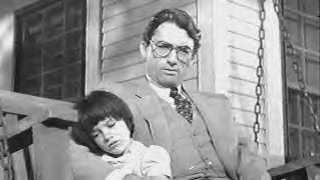 To Kill a Mockingbird (1962)—Is there any screen father more admirable than Gregory Peck? By day, he works to save a man’s life in court. At night, he quietly teaches his children about compassion and bravery. His message is effective because he leads by example.